DROP4DROP - Compass Group celebrates 150 projects with drop4drop! Here at drop4drop, we want to thank Compass Group for reaching the milestone of 150 clean water projects with us! Congratulations Compass Group, for contributing to 150 communities throughout India and Africa gaining access to clean water. Through partnership with drop4drop and Life Water, Compass Group have helped families across India, most notably villages in Andhra Pradesh and West Bengal; and in Africa: Uganda and Mozambique. 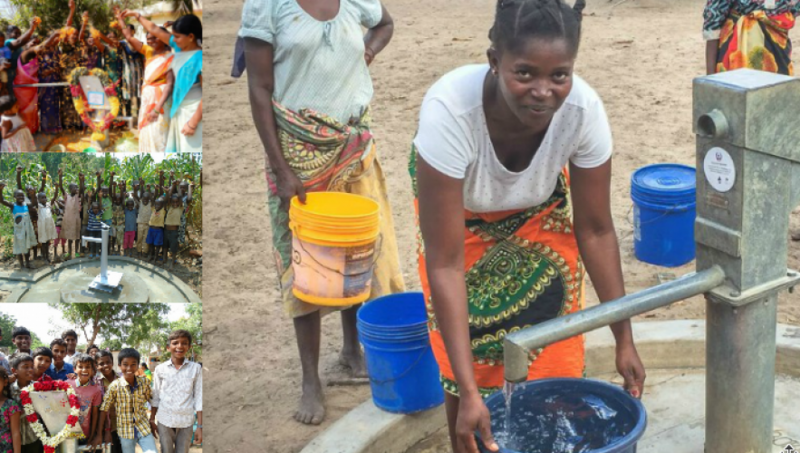 Compass Group have assisted communities of all sizes in gaining access to clean and safe drinking water through drop4drop: ranging from a village of 290 people in Nsambya, Mpigi Discrict, Uganda, to a community of 4,017 people, in Tororo Mozambique. If you want to find out more about drop4drop and Compass Group’s projects, head to our website.